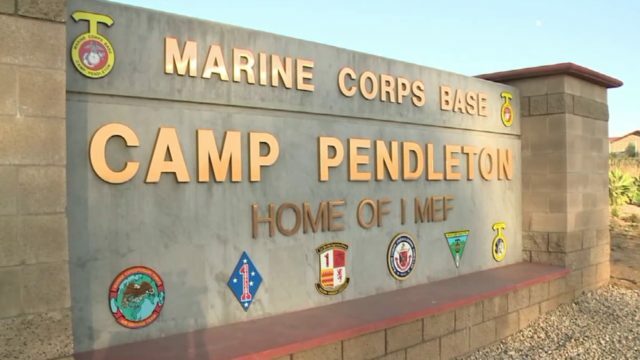 A Camp Pendleton-based Marine and repeat drunken driving suspect was behind bars Wednesday, facing a potential murder charge, in connection with a wrong-way crash that killed a motorcyclist on a rural North County road a few hours into the new year. Adam Daniel Barooshian, 25, was behind the wheel of a Lexus IS 300 sedan that smashed into an oncoming Suzuki two-wheeler at high speed while headed east in a westbound lane on state Route 76 near Via Monserate in Bonsall shortly before 4 a.m. Tuesday, according to the California Highway Patrol. The motorcyclist died at the scene of the collision. His name was withheld pending family notification. Medics took Barooshian to Palomar Medical Center for treatment of superficial injuries. About six hours after the deadly wreck, he was booked into county jail in Vista on suspicion of driving while intoxicated and murder. The latter charge stems from a prior recent DUI charge still pending against Barooshian, said CHP public-affairs Officer Mark Latulippe. Prosecutors have the option of filing a murder count in a case involving a traffic fatality caused by a motorist with a previous arrest for driving while intoxicated, Latulippe noted. Barooshian, a native of Chelmsford, Massachusetts, was being held without bail pending arraignment, scheduled for Thursday afternoon.